We would like to invite you to a photo exhibit here at Coban’s Muay Thai Camp on Saturday, June 23, 6:00-10:00 pm. It is called Lookchaomaesaithong: The Photography of Eight Limbs, by Jacob Klensin of figureoffighting.com. We are dedicating this show to Coban’s manager, trainer and second Father, Mr. Nipon Chotison. Mr. Chotison is responsible for transforming Banlu Anwiset into Coban Lookchaomaesaithong and for making Coban’s Muay Thai Camp happen. He has dedicated his life to rescuing boys from poverty, and transforming them into fighters and good citizens. With great sadness, Mr. Chotison has been diagnosed with liver cancer, and the prognosis is not good. We have obtained permission from Jacob to run a fundraiser alongside his show. We are asking for small donations from people who have been positively influenced, touched by or affected by Coban or Coban’s Muay Thai Camp. Please read below Mr. Chotison’s story, and you will understand what an amazing person he is. All proceeds will go to Mr. Chotison and Camp Lookchaomaesaithong. Your generosity and support would be very greatly appreciated. Please click HERE to be directed to the donations page. Thank you very much. Muay Thai is a career in Thailand. Unlike in the U.S., it is not a recreational activity. It is a means to escape poverty and lack of education and opportunities. Parents with their young boys in tow plead Muay Thai camp managers to turn them into fighters, and hopefully, into Champions. If accepted, Muay Thai camps spend a lot of money caring for them. Unlike in the U.S., there is no tuition to collect or sales of T-shirts and gear. In the eyes of the managers, they see expense: rice, medical bills, training and time. A lot of time and money. According to Coban, most camp managers care only about how much money they can collect from fighters’ fights. If they don’t win or they can no longer fight, they are asked to leave the camp. They are cut off without any help or direction. The outcomes are random: they become waiters, laborers, drunks, small businessmen, homeless or simply return home. It is said that Muay Thai has its origin in Buddhism and the Monks from Temples. Mr. Chotison’s nickname is “Dr. Buddha Heart.” Unlike typical camp managers, he cared about the person, the fighter, and not the fights. He accepted each young boy as his own son, and cared for them in sickness and in health. He ensured that those who could not make it in the ring or those who retired or couldn’t fight due to injuries found gainful employment and led respectable lives. He made sure that every single one of his fighters, 100% of them, found better lives. He didn’t put money first. He put people first. He knew where the young boys were coming from. He gave them a better life and unconditional love. When Coban finished high school, Mr. Chotison tried to give Coban a 2-year college education, and helped him land a job as a security officer at a hospital (secure government job). However, at the urging of his promoter, Coban quit his job and decided to fight full-time. Coban said whenever he took care of his buffaloes and saw a plane fly over him, he would say to himself, “one day, I will be inside those planes.” Mr. Chotison was very sad that Coban quit his job, but he understood. He supported him, and took him all the way to the top, and made Coban “The Cruncher” that we know. He told Coban that he would hold the hospital job until the age of 40 in case he ever needed it again. 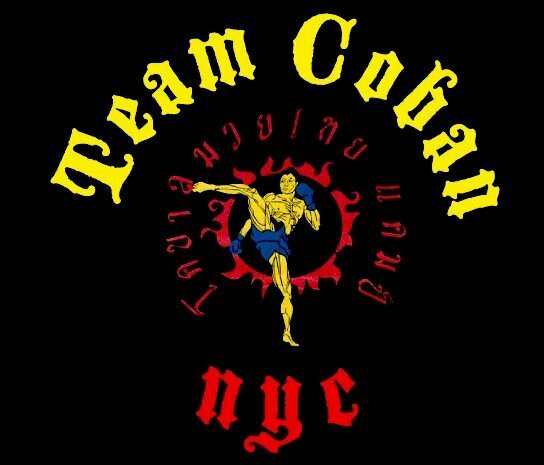 In 1996, when Coban left to the U.S. for his second fight in America, he decided not to return to Thailand. He thought he could make something big in America. However, he spent years in a downward spiral of alcohol abuse. He said America was big, and he got lost. Everything and everybody in Thailand were shut out. Without money or visa, he was stuck. 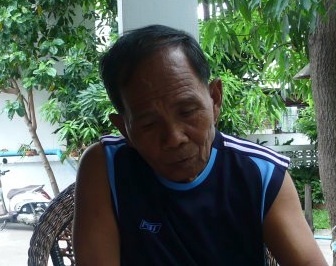 It was not until 2010 that Coban was able to meet his second Father with clear and sober eyes and mind. There was no anger or resentment from Mr. Chotison, only happiness and love for Coban. He is now so proud of Coban and his accomplishments. We are told that, in his hospital bed, all he talks about is Coban and how proud he is of him. In the U.S., many travel to Thailand as tourists, and bring back some techniques, and call themselves as teachers of Muay Thai. Real Muay Thai is not just about elbows and knees. It certainly is not just a striking component for Mixed Martial Arts. Real Muay Thai is life to many in Thailand. We, at Coban’s Muay Thai Camp, are very lucky and humbled to be a part of something special. We are only an extension of Camp Lookchaomaesaithong. We owe everything to Mr. Chotison and Camp Lookchaomaesaithong. Without them, there would not have been a Coban or a Coban’s Muay Thai Camp. This entry was posted in Events and tagged "Dr. Buddha Heart", featured, Lookchaomaesaitong: Photography of Eight Limbs PHOTO EXHIBIT AND FUNDRAISER, Mr. Nipon Chotison, Team Coban. Bookmark the permalink.